All breakout sessions will take place the afternoon of Thursday, October 25. You will be able to attend two breakout sessions, and each breakout session will run twice. Technology and Talent, Process and People, Culture and Compliance – Can Digitizing Business Operations help Humanize the Customer Experience? As CCO of Pypestream, Donna works with brands to strengthen relationships with customers through the company’s secure messaging platform. A pioneering and strategic executive, Donna has a dynamic record of driving sustainable growth and stellar business results. Prior to joining Pypestream, Donna was CCO for AIG. She is also a member of several boards including the Customer Experience Professionals Association and the Rutgers CX program, where she teaches along with other experts in the field. Reach Donna on twitter @donnanpeeples. Technology advancements, emerging trends and increasing customer demands are radically transforming the customer journey and changing the future of customer care. Companies are putting the customer experience at the center of how they think about their business – day to day and more strategically over the long term. This shift requires new investments along the people, process, technology and culture continuum. But with the increasing variety, volume and velocity of change, how do businesses successfully navigate this dynamic landscape? How do they determine which digital trends will bring value to the organization? What is the best path for their strategy? 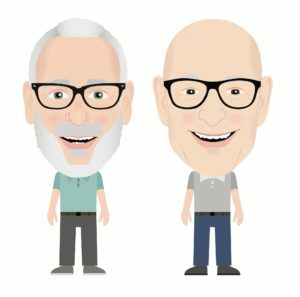 How do they thoughtfully and deliberately design an end-to-end process architecture that is easy, effective and memorable for the customer, yet is consistent and scalable for the business? The answer is deploying key technology solutions while developing a customer-first culture at the speed of business. Serving as Milestone’s Chief Operating Officer, Doug Tracy holds over 30 years of executive experience. 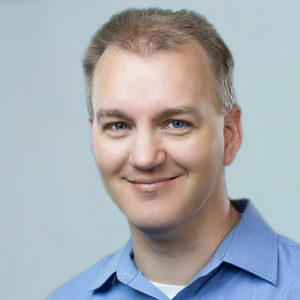 Doug successfully led IT operations at several Fortune 500 global companies such as Computer Sciences Corporation, Dana Corporation, and Rolls-Royce North America. He holds a Master of Science (MS) in Software Development and Management from Rochester Institute of Technology, an MBA with Honors from Duke University, and a BS in Electrical Engineering with Distinction from the U.S. Naval Academy.As Chief Operating Officer, Doug is responsible for Milestone’s service delivery, technology and service strategy, partnerships and alliances, and internal IT operations. Through his executive experience and leadership, he has been introducing new approaches to strengthen and expand Milestone’s IT services, which include automation, artificial intelligence, and machine learning technologies. Doug’s prior experience includes servings as Vice President and CIO of Computer Sciences Corporation (CSC), a $14 billion IT and professional services firm that operates in more than 70 countries. Doug led a dramatic transformation for CSC internal IT functions by driving business development and supporting global operating models. Additionally, he held several IT leadership positions at major global firms, guiding companies like Xform, NormShield, Wolken Software, Ascensia with strategy. What new technologies propel the future of service? Per Servion, Artificial Intelligence (AI) will drive 95% of customer interactions by 2025. We are seeing revolutionary changes driven by AI, machine learning, automation and cognitive computing across every industry and occupation. Today, these technologies are considered disruptive because of the transformation and challenges their adoption brings. The enterprises must want to innovate and be willing to rely on technology versus people for decisions that deliver better service outcomes. This session will focus on factors that slow down AI adoption while offering practical ideas to overcome resistance and successfully deal with required cultural shift. 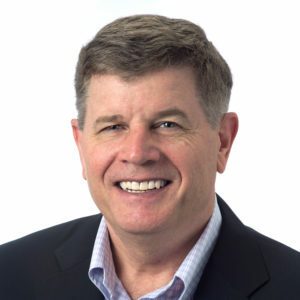 After leading the most profitable north American business unit, Steve was instrumental in starting the services business models within Avnet, held positions as Vice President of Corporate Marketing, Chief Human Resources Officer, Corporate Strategy Officer, Corporate Business Development Officer, Chief Operational Excellence Officer. His leadership drove global commitment to Avnet’s core values that was foundational to the growth with period of numerous acquisitions driving consistency in the employee experience for all. He lives in Phoenix, Arizona, and enjoys spending time with his three adult children and three grandchildren. After leading regional sales businesses within Avnet, starting new business development and strategies became a strong skillset. Then as vice president of shared business services, vice president of global operational excellence drove change management, and employee led process improvement. His “dream position” as vp responsible for global customer engagement led to the co-writing of this book The Pinwheel. With guest lecturer/speaker appearances including Kellogg at Northwestern, Eller at U of A, Argyle Leadership Events, Richmond events, NG Customer Experience and many others all focused on Customer culture, Terry is passionate about building a business culture that serves with excellence. His experience includes 30 Years in Fortune 500, Sales, Business Development, Process Mastery, Change Management and Customer Engagement. He lives in Phoenix Arizona with his wife Rebecca and enjoys time with his one son and new daughter-in-law. Remember that colorful childhood toy that spins? Each vane of a pinwheel looks the same and catches the same wind, spinning the wheel around. If one vane is damaged, the pinwheel slows down or stops. Many think of the pinwheel as a childhood diversion, but when you envision it as a metaphor for delivering great customer service, it means much more. Delivering it, however, can be daunting – especially in a changing business environment where social media influences buyers. There are also pressures to reduce costs while providing employees with purpose and meaning. Those challenges, however, should not stop you from plotting a path toward customer service excellence, thereby helping every employee understand the importance of great customer service and his or her role in delivering it with The Pinwheel. Charlie is currently Principal/President, Innovative Strategies LLC, a consulting firm helping companies grow by differentiating themselves through extraordinary customer and employee experiences. He specializes in Service Profit Chain customer experience improvement, employee engagement, leadership development and strategic planning. He also assists successful companies in achieving higher and higher levels of significance through a suite of 21st Century “triple bottom line” consulting services, assessment products and tools.Current and recent past clients are Solera Health, Shelvspace, Tallwave, Ethology, Fox and Fin, Everest College Phoenix, MobiSquad, Hunter Contracting, AZ Humane Society, Avnet, Aon and Harley Davidson University. 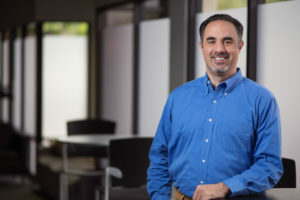 Prior to his recent consulting activities, Charlie spent 9 years as VP, Voice of the Customer Office and Director, Global Strategic Planning for Avnet Inc.’s $8 billion Technology Solutions business. 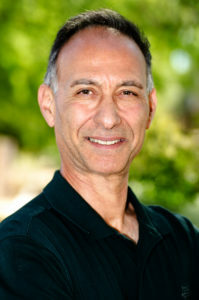 Prior to Avnet, Tombazian was Director of Marketing for Phoenix-based Pilgrim Funds, 1999 Inc. Magazine’s 9th fastest growing company in America. Charles’ 40-year management and consulting career includes 12 years as a National Headquarters VP, Elected Officer, and Field Office Manager with The Acacia Group, a diversified financial services company. He has also consulted across the U.S. with over 50 companies and non-profits of all sizes and industries in his 14 years of management consulting. Charles is a past Adjunct Faculty member at Grand Canyon University (2006-2007) and the University of Phoenix (1998-2004), teaching graduate MBA and Masters in Leadership OD/OB courses. He was honored by UOP’s Graduate Business School with an appointment as Area Chair, Organizational Behavior and Development (2002-2003). Charles speaks frequently to a variety of for-profit and non-profit groups on extraordinary customer and employee experiences, deliberately developmental organizations, strategy, culture, facilitating change and leadership trends. Charles has been active in community service, including 3-years as Board Member at Florence Crittenton, fund raising and pro bono work for AZ Boys Ranch, Phoenix New Day Center/UMOM, Phoenix Children’s Hospital, Parenting Arizona, the Shirley Schmitz Foundation and AZ Foundation for Women. In 2000, he was honored as one of AZ’s Finest– 20 honorees recognized for their community service, sponsored by the Cystic Fibrosis Foundation. It is said the last strategic frontier for true differentiation is Customer Experience. And we know culture eats strategy for lunch. So what organizational culture fosters the most differentiated customer experiences? Written in 2016, Robert Kegan and Lisa Lahey’s seminal work, An Everyone Culture: Becoming A Deliberately Developmental Organization (DDO), illuminates the path to a culture that breeds empathy, trust, 360 degree feedback and passion for personal evolution. Most employees WANT to do the right thing for their internal and external customers, but are constrained by organizational culture/process/governance. So if differentiating customer experiences are the ultimate goal, then creating a more human-centric DDO culture is the solution to unleashing the inherent desire to serve others in extraordinary ways. This interactive session will explore the characteristics of DDO cultures and how they drive significantly better employee and customer experiences. Mike Figliuolo is an honor graduate of the United States Military Academy at West Point, where he graduated in the top 5 percent of his class. He served in the U.S. Army as an armor officer. Mike also spent time in corporate America as a consultant at McKinsey & Company and as an executive at Capital One and Scotts Miracle-Gro. As the founder and managing director of thoughtLEADERS, LLC, he and his team train senior executives at leading companies on leadership, strategy, communications, innovation, and other critical business skills. He is the author of three books – One Piece of Paper: The Simple Approach to Powerful, Personal Leadership, Lead Inside the Box: How Smart Leaders Guide Their Teams to Exceptional Results, and The Elegant Pitch: Create a Compelling Recommendation, Build Broad Support, and Get it Approved. How to artfully craft a compelling story that excites teams and generates business impact.